The Red Sox made a trade on Wednesday to help stabilize their rotation, acquiring right-handed starting pitcher Nathan Eovaldi from Tampa Bay in exchange for Jalen Beeks (pictured). Beeks was ranked sixth in the SoxProspects.com rankings, rising from a ranking of 13th to begin the season. 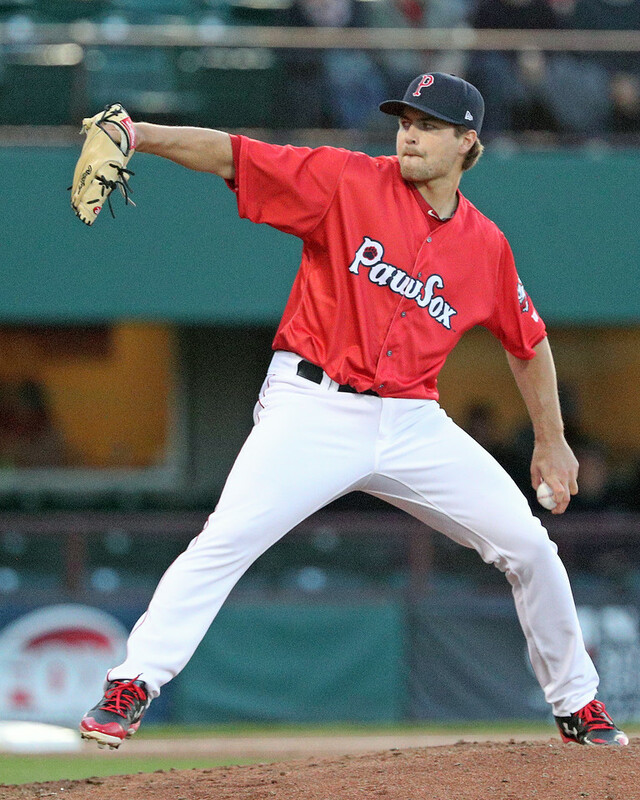 Beeks struck out 117 over 87 1/3 innings with the PawSox this year and had an ERA of 2.89, but he was also hit hard in both of his major league appearances. SoxProspects.com Director of Scouting Ian Cundall wrote up a detailed scouting report in early-June on Beeks, and Cundall noted the great progress Beeks had made since being a 12th-round draft pick in 2014. Kyle Martin, who has been in the system for six seasons, was released so he could pursue an opportunity to play in Japan. Martin made two appearances for Boston last season, but he was outrighted off the 40-man roster last September and had been pitching in Pawtucket all season. After gong on the disabled list at the end of May with right forearm inflammation, Marcus Walden is now back with the PawSox. Walden was starting for the PawSox before getting hurt, and he will now pitch out of the bullpen for them. He is on the 40-man roster so he is likely to help Boston out of the bullpen when rosters expand in September. To make room for Drew Pomeranz's start on Tuesday, the Red Sox optioned Tzu-Wei Lin to Pawtucket. With Lin in Boston the PawSox have been short-handed in the infield as Brandon Phillips has not played since Saturday due to a chest injury. Kevin Thomas of the Portland Press Herald reported that former first-round pick Trey Ball began taking batting practice about a month ago. Ball was a two-way player in high school and was considered a first-round talent both as a pitcher and outfielder. He has not progressed on the mound, struggling to a 7.23 ERA in Portland this season, and it looks like the 24-year-old is eyeing a position change. The Red Sox signed another international free agent on Monday, with Gregori Custodio coming in and joining the DSL Red Sox2. Custodio was given a $230,000 signing bonus last year from the Pirates, but the contract was voided in February. PiratesProspects.com reported that it was voided due to age/identification issues and problems with his paperwork.